PROFESIONAL QUALITY - Heavy duty, professional grade, shoulder pulley exerciser. Same high quality as shoulder pulleys used in physical therapy clinics. CUSTOM PULLEY - EconoRanger contains a custom-designed pulley with a zinc-coated metal housing that won't melt or deform over time and a self-lubricating nylon roller that won't squeak when used. METAL BRACKET - Included metal bracket attachment makes it easy to attach the pulley system to the top of the door. Both sides of the bracket are padded with foam or a plastic sleeve. Fits most 2 inch doors and does not cause damage. ADJUSTABLE LENGTH - Wooden dowel handles allow easy adjustability of the 77-inch cord length to promote comfortable and hassle-free use. Easy to store when not in use. THERAPY TOOL - Helps enhance the range of motion for people suffering from arthritis, tendonitis, frozen shoulder syndrome, rotator cuff injury, bursitis, and other impingement issues. Brand: RangeMaster | Manufacturer: Therapeutic Dimensions, Inc. 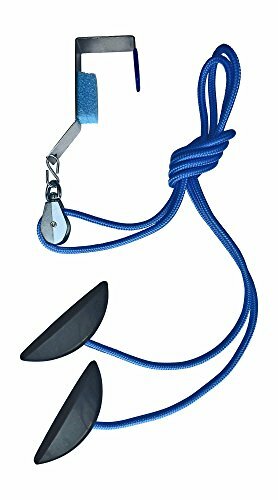 The BlueRanger economy shoulder pulley is an affordable overdoor Shoulder Pulley BlueRanger features a unique cleat handle that makes it easy to adjust the line length. Other pulleys require the patient to un-tie and re-tie knots if you are changing exercises. 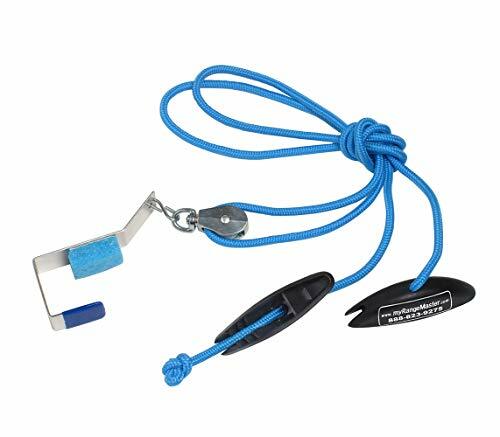 The cleat lets you simply slide the rope to the desired length and notch it in place. RangeMaster pulleys feature an indestructible zinc-coated metal pulley housing. Lower quality pulleys have a plastic housing. We've tried them. They can melt in actual home use. Some pulleys use a tin housing. The tin is weak and can twist out of shape in actual home use. At RangeMaster, we initiated the use of bright blue rope, but don't be fooled. Other pulleys have mimicked our blue color, but they don't have the high quality zinc coated nylon roller pulley and they don't have the notched handle for simple line length adjustments. We've been making RangeMaster Shoulder Pulleys since 1990. We've served more than a million shoulder patients. 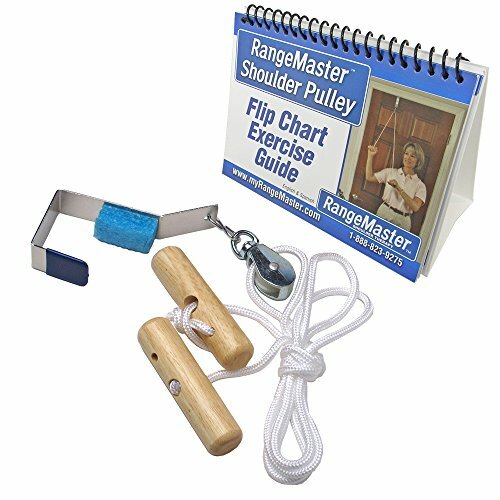 EFFECTIVE THERAPY - Affordable, simple and effective, this shoulder therapy exercise pulley system is similar to those used in physical therapy offices. METAL BRACKET - Included metal bracket over door hanger makes it easy to attach the pulley system over the top of any door. Fits most 2 inch doors and does not cause damage. CUSTOM PULLEY - BlueRanger contains a custom-designed pulley with a zinc-coated metal housing that won't melt or deform over time and a self-lubricating nylon roller that won't squeak when it is used. ADJUSTABLE LENGTH - Cleated handles allow easy adjustability of the 85-inch cord length to promote comfortable and hassle-free use. Easy to store when not in use. 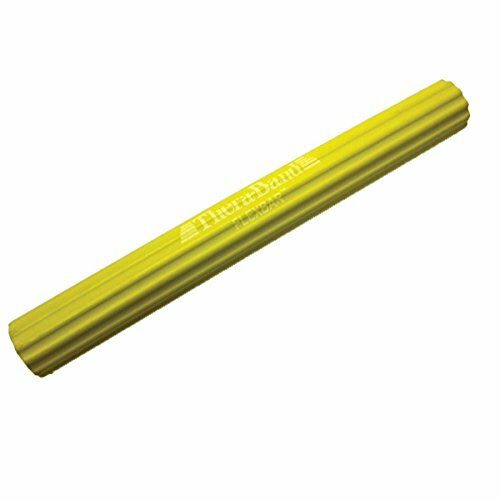 RECOVERY TOOL - Great for recovery and rehabilitation after surgery or injuries and for improving strength and mobility. Helps enhance the range of motion for people suffering from arthritis, tendonitis, frozen shoulder syndrome, rotator cuff injury, bursitis and other impingement issues. Safely Increase Your Mobility With a Simple, Effective Device. This overhead pulley system from BodyHealt stretches out your muscles , allowing you to build up strength in your upper arms and shoulders . Safely increase your mobility and perform any move you like with this simple exercise tool , while you re sitting down or standing up. Eases Pain From Injuries, Surgeries and Chronic Conditions. In addition to toning your muscles, the BodyHealt is an ideal, rehabilitation tool . Exercising is essential if you recently suffered an injury , had surgery or have chronic pain from arthritis or tendonitis . Perfect for strengthening and properly rehabilitating arm and shoulder muscles, this pulley will help you regain full range of movement in no time at all. Large foam handles offer optimal comfort and a firm grip when you re exercising. 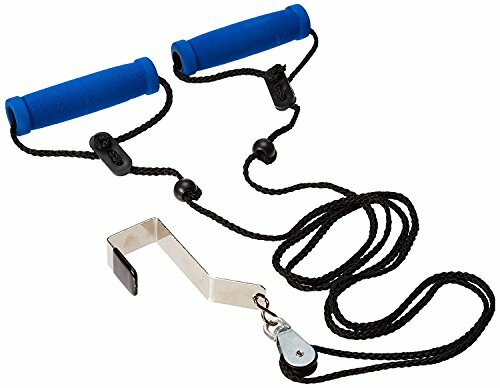 A safe, effective and inexpensive way to work out, this pulley system is great for doing a variety of exercises , stimulating your muscles and building up muscle tone . Start Exercising in an Instant. Working out no longer has to be a hassle. The BodyHealt Overhead Shoulder Pulley comes complete with a metal door bracket and a webbing door strap , so you can set it up the way that you see fit. 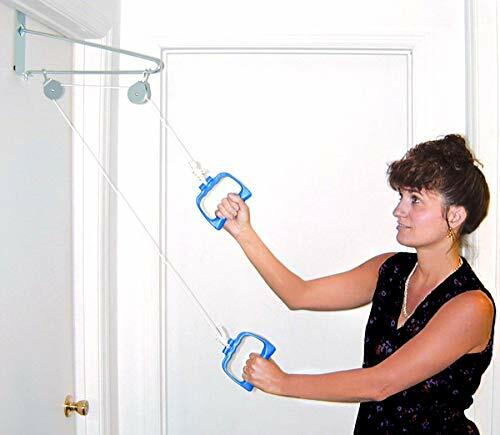 Using either one, this exerciser easily hangs over most standard doors . GREAT EXERCISE TOOL. Whether you recently suffered an injury or would simply like to build up muscle tone, this shoulder pulley is an effective way to work out. Safely and easily increase your range of motion while you're sitting down or standing up in the comfort of your own home, at work or while you're away on vacation. INCREASES YOUR STRENGTH. This overhead arm therapy pulley will help you strengthen your upper arms and shoulders while you stretch out your muscles in a relaxing way. You can enjoy full mobility range and perform any move you like with this simple exercise tool. EFFECTIVE THERAPY DEVICE. If you recently suffered an injury, had surgery or have chronic pain from arthritis or tendonitis, exercising is vital. This overdoor pulley is perfect for strengthening and properly rehabilitating arm and shoulder muscles, making it an optimal rehabilitation tool. EASY SET UP. Saving you time and effort, this workout system easily hangs over any standard door with your choice of either a metal door bracket or a webbing door strap. Both options are lightweight so you can transport the system with you everywhere you go. OPTIMAL COMFORT. 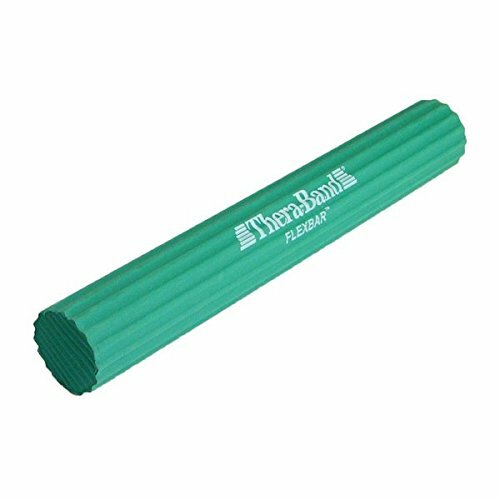 Large foam handles offer a comfortable grip so you can perform your exercises with ease. Meanwhile, the extra-long, adjustable cord easily accommodates people of different heights and allows use in either a standing or seated position. 6 FEET LONG x 5 INCHES WIDE - Light, medium and heavy resistance levels provide a wide range of tension from 3 - 35 lbs. DOOR ANCHOR - Easily attach the bands to a door for even more exercise options. LIFETIME WARRANTY - Aylio bands are built to last by using professional grade natural latex rubber and generous thickness. Forget those thin see-through elastic bands that snap right away! 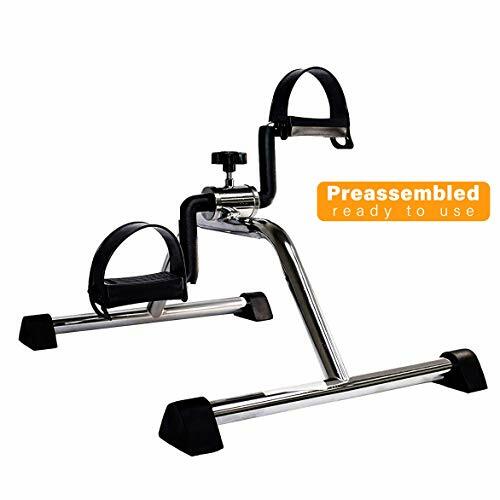 Home Pedal Exerciser: Combined with Arm & Leg exercise by adjustable multi-level resistance , this mini bike trainer can target at providing different exercising level to train your muscle group, upper & lower body exercises with best effect to accelerate blood circulation, strengthen lung breaths and keep fit. 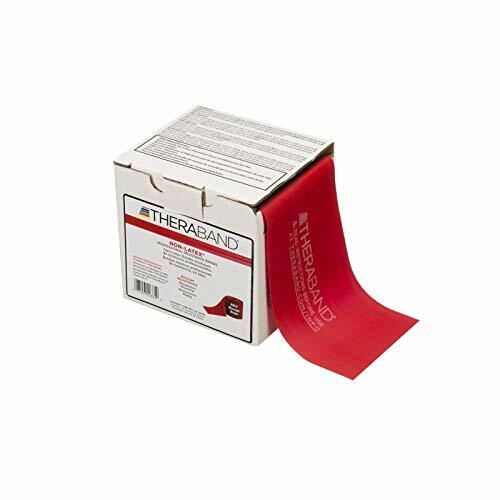 TheraBand Professional Non-Latex Resistance Bands are available in 8 color-coded levels of resistance. Proper use of these systems for resistive exercise provides both positive and negative force on the muscles, improving strength, range of motion and cooperation of muscle groups. Color-coded progressive resistance gives at-a-glance documentation of progress from one level to the next. And because it is not made with natural rubber latex it s an ideal option for users with latex sensitivities. 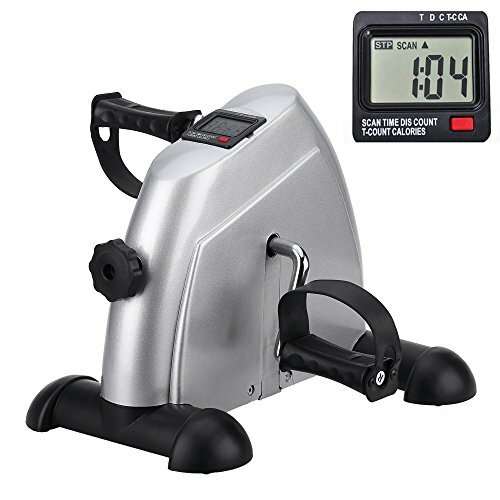 The Medical Pedal Exerciser is designed with one concept in mind "STABILITY". We want our customer to enjoy low impact exercise on a quality machine that does not wobbles or shakes during use. This explain why our peddler is made out of a single piece of high quality triple-layered chrome-plated heavy duty steel construction instead of the traditional multi-piece inferior structure joint together by pieces of screws. Our durable frame allows the machine to sit firmly on the ground while our users exercise with ease. No more 'rickety- click' while you peddle. Its non-skid ribbed rubber platform and reinforced rubber feet also provides additional traction and security on any floor or table surfaces. Turn the tension knob clockwise for high tension, and counter clockwise for less tension. An easy adjustable strap will allow the stirrup to fit any feet/shoe circumference of less than 9in. Product comes fully assembled ready to use. 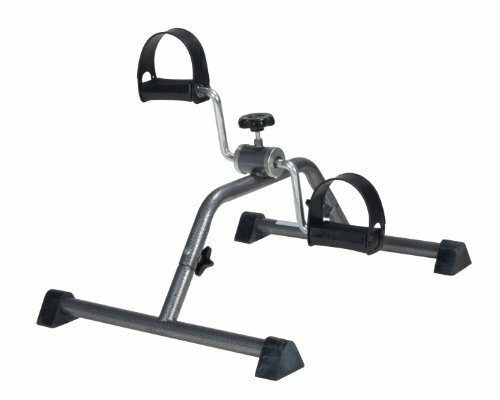 Dimension: 16"(W) x 20"(D) x 14"(H).The Medical Pedal Exerciser offers maximum stability and durability like no others in the market. Keeping your exerciser and its parts properly cleaned and lubricated regularly will ensure the good performance of your product. To Clean: Gently wipe your exerciser with a clean, damp cloth. For thorough cleaning, wipe with mild soap and water, then dry with a clean cloth. To Lubricate: Remove the tension knob, apply lubricant into the inner moving parts of the exerciser. Purchase our product with confidence. We offer a full refund to your purchase if you feel that our product is inferior. Our limited lifetime warranty also guarantees our peddler frame to last forever and rust free too. Excellent for Shoulder Rehabilitation and Increasing Range of Motion. We stand behind all of our products. If you are unsatisfied any reason, contact us for a hassle-free refund or replacement. No questions asked. Heavy duty, professional grade, shoulder pulley exerciser. Same high quality as shoulder pulleys used in physical therapy clinics. Over the door metal bracket allows easy one hand setup. Units with a door strap require two hands, which is difficult with an injured shoulder. Easily adjustable cord length accomodates persons of any height and allows the shoulder pulley to be used seated or standing. Perfect physical therapy aid to recover from shoulder injury or surgery. Helps increase range of motion and restore proper function to the shoulder. Lifetime Replacement Guarantee. We stand behind our products and will provide a prompt replacement or refund for any reason, any time! Over door shoulder pulley with metal bracket. Adjustable line length on regular white rope. 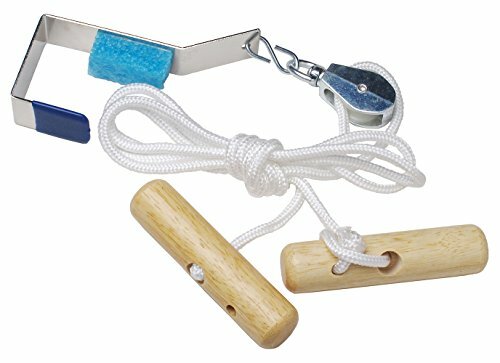 Two wooden handles and a smooth nylon roller pulley. Simply place the strap over the door with the buckle positioned on the opposite side. Close the door tightly. Pull the strap toward you to make sure it s locked in place. You re ready to go! 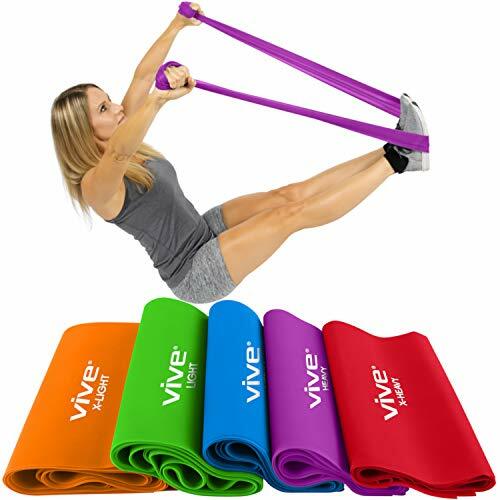 Increase the effectiveness of any workout with the Vive resistance bands. Perfect for increasing mobility and flexibility, for rehabilitation and strength training, the resistance bands can be used as a part of many fitness programs. Easily carry the Vive extra-long resistance bands to the office or gym. Versatile seven-foot resistance bands allow you to strengthen, stabilize and tone muscles while increasing flexibility and range of motion. Perfect for physical therapy and rehabilitation, the extra-long resistance bands are lightweight and durable. 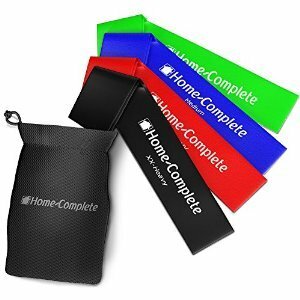 The durable resistance bands can be used for general exercise, stretching and strength training or as part of a workout program such as P90x, Insanity, Crossfit, Beach Body, Yoga, or Pilates. Made with a durable composite material, each band is seven feet long and six inches wide. The straight bands are snap, tear and split resistant. STRENGTHEN, STABILIZE AND TONE MUSCLES: Versatile seven-foot resistance band allows you to strengthen, stabilize and tone muscles while increasing flexibility and range of motion. 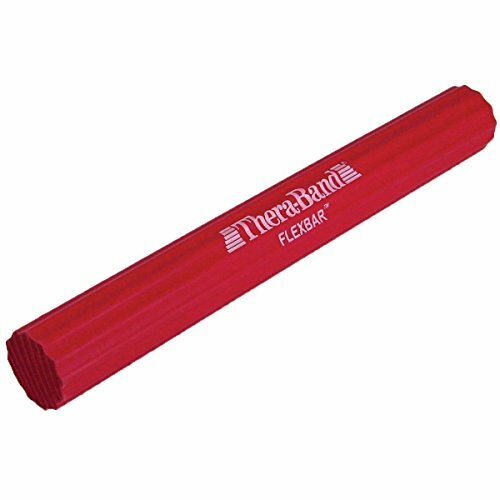 Perfect for physical therapy and rehabilitation, the extra-long resistance band is lightweight and durable. 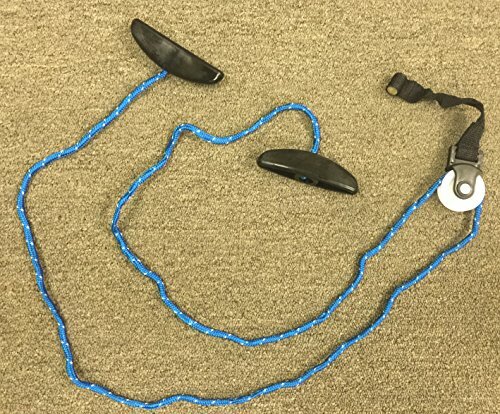 INTEGRATES WITH MANY POPULAR WORKOUTS: The durable resistance band can be used for general exercise, stretching and strength training or as part of a workout program such as P90x, Insanity, Crossfit, Beach Body, Yoga, or Pilates. DURABLE BAND: Made with a durable composite material, the straight band is snap, tear and split resistant. FIVE RESISTANCE LEVELS: This set includes five resistance levels ranging from extra light to extra heavy. Additionally, versatile straight bands can be folded over to create more tension. The extra-light and light resistance bands are great for beginners, expectant mothers, and the elderly. The medium, heavy and extra heavy resistance bands work well for progressive workouts, advanced strength training and experienced users. Bands can also be used together to create custom workouts. Get back on your feet with this 4 different resistance level circle bands for exerciseIdeal for physical therapy rehabilitation (rehab bands), weight loss, pilates and stretching, muscle toning and strengthening. NO NEED for unhealthy and expensive weight and exercise equipment. Benefits - Durability-Professional-grade fitness bands are built to last and maintain their elasticity over many years of training. - Quality-All stretch bands are high quality 100% genuine eco-friendly latex (Not rubber bands which are much cheaper and tend to break). 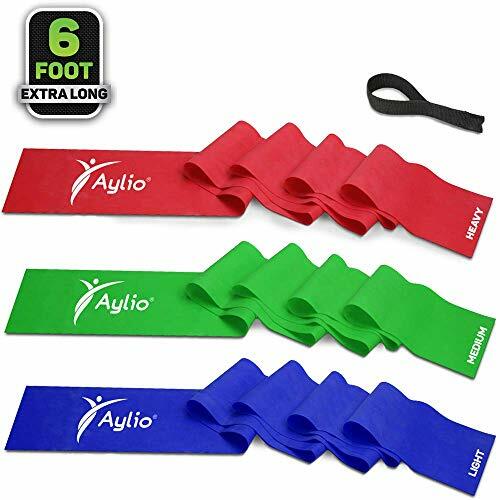 - Size-All resistance bands are 12" by 2" long. - Risk-free- - Adjustable Body Bands-Can be used as ankle resistance bands, knees resistance bands, legs resistance bands, thigh and wrists. - Professional Physical Therapy Equipment Bands-Helps in recovery from torn MCL, torn ACL, knee replacement, patella and meniscus rehab. - Versatile Workouts-Loop bands can be used for strength, coordination and balance: isometrics exercises, monster walk, lateral walks, goblet squat, etc. - Light and Compact to Travel-The perfect solution when you want to exercise on the go. Get an intensive exercise in your hotel room, office or anywhere you go. - Cost Effective-No need for anymore loop bands. Just switch to higher resistance band or combine a few ring bands together. This is also a great unique christmas gift idea for men, women, dad or mom. A present for father and mother day holidays and a cool anniversary gifts for him or her. 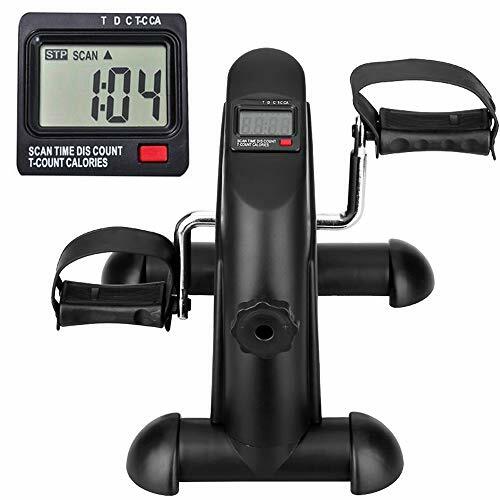 Easy assembly: Pedal exerciser with all supplied accessories, in few minutes and without asking for any tools. The anti-slip pedal and the non-slip bike foot provide excellent attachment and will not slip during exercise.